Mary Berry is the nation's favourite baker and author of over 70 books, including the bestselling Mary Berry Cooks, Mary Berry's Absolute Favourites, Mary Berry At Home and Mary Berry’s Baking Bible. She was the much-loved judge on the BBC's The Great British Bake Off and has been teaching the nation to cook for over four decades. Cordon Bleu trained in Paris, Mary began her career as a magazine cookery editor before publishing her first cookery book in 1966. Mary is also an AGA expert and taught AGA masterclasses for many years from her home with Lucy Young. In 2009 Mary was awarded the highly coveted Guild of Food Writers Lifetime Achievement Award and in 2012 she was made a CBE in the Queen's Birthday Honours list. Mary Berry is the nation's favourite baker and the much-loved judge on the BBC's The Great British Bake Off. 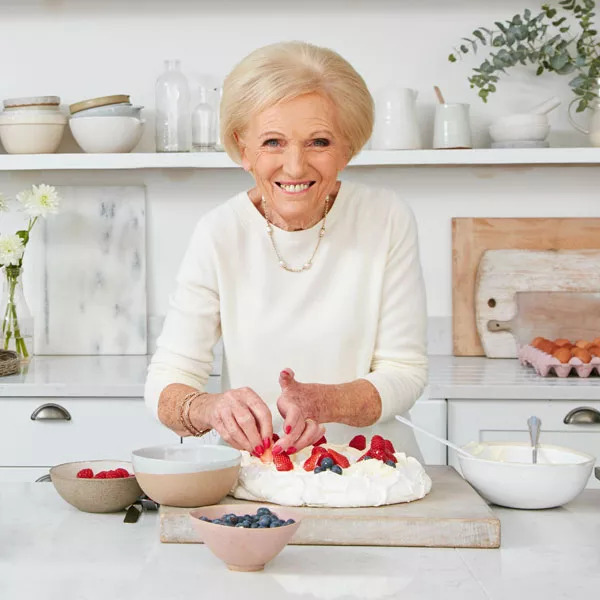 She has been teaching the nation to cook for over four decades and has over 70 books to her name, including the bestselling Mary Berry Cooks, Mary Berry At Home and Mary Berry’s Baking Bible.